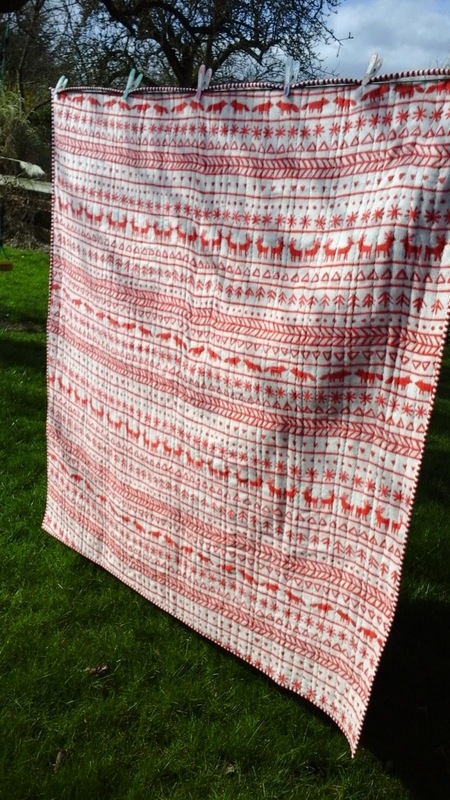 As I always like to be ahead of the game, I thought I would get my first Christmas make completed, to avoid any last minute panic, or at least that's what I'm claiming, rather than admitting I was trying to get this quilt finished for last Christmas and I'm 3 months late! 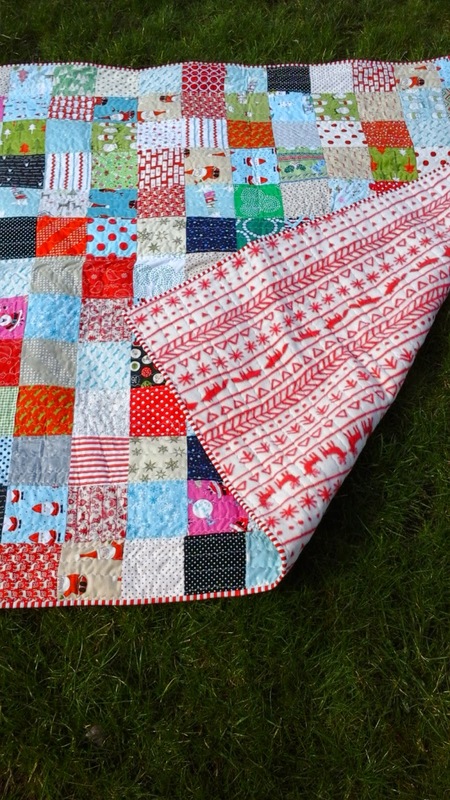 I have a seemingly massive collection of Christmas fabrics, so I decided to make a fun Christmas quilt for each of my girls, this first one is for the youngest, and has a fleece cuddle backing I got from Plush Addict at the end of last year. I debated whether or not to add batting, but decided I really liked the extra weight and warmth it provided, so it was included. 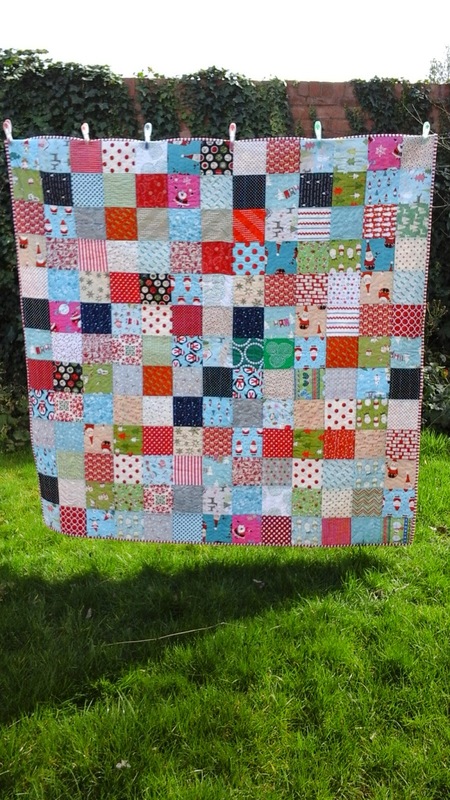 It's quilted using a big zigzag stitch (which reminds me a bit of Christmas crackers), and the 13 by 13 squares measure up at a healthy 141cm square. The binding is a fun red stripe I got from The Fabric Guild a couple of years back for just a couple of £ per yard, and I think gives it a fun frame.